LionsDeal > Tabletop & Bar > Restaurant Dinnerware > Melamine Dinnerware > Color Melamine Dinnerware > Red Melamine >< Red Melamine > Thunder Group 7000R Red Melamine Serving Spoon 1 oz. 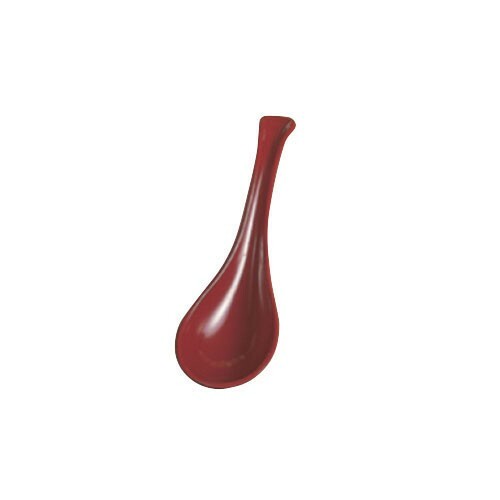 Thunder Group 7000R Red Melamine Serving Spoon 1 oz. Whether you are dishing out hot wonton soup or fried rice, the Thunder Group 7000R Red Melamine Serving Spoon 1 oz. is an excellent choice. Designed with a contoured handle, it fits comfortably in the user's hand and its red color will brighten up any table setting. Made of melamine, this NSF approved serving spoon is dishwasher safe and extremely durable. In addition, it can be used with steaming hot food without warping or bending out of shape.